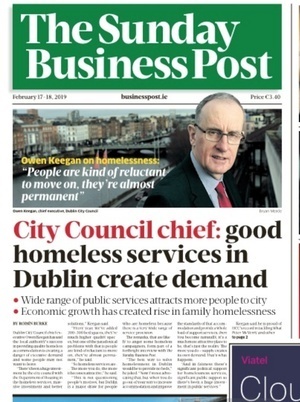 Dublin City Council’s CEO Owen Keegan was interviewed about a range of matters. These included the Luas Cross City works, the College Green plaza the lack of cycling facilities in the capital, housing and comments of Housing Agency’s boss Conor Skehan who recently claimed some people were ‘gaming the system’, by, he alleged, declaring they were homeless in order to jump the housing waiting list queue. He was also asked his opinion about the €500,000 that Dublin City Council have voted to spend on lowering a recently built flood defence wall in Clontarf. Owen Keegan: “What we’re saying is do not come into the city centre unless your destination is in the city, core city centre. There was far too much traffic going through the city centre and we’ve basically made it, we’re not accommodating that traffic but you can still access every car park, you can access every hotel and business is doing well in the city centre. This myth that business is dependent on car access, that’s simply not the case. Keegan: “Well, look, the housing situation is very difficult and the city council, we’re not responsible for the performance of the housing market. The recovery in the general housing supply has been slow, much slower than, given the buoyancy of the economy – that’s not our direct responsibility, but it is a major factor, so, I suppose the housing crisis is partly because we got out of social housing building and that would have been, and in actual fact there was no money to spend on social housing, it’s something that I think was most unfortunate. We’re back in social housing now, it’s taking time to ramp that up. “But you know we’re dealing with the consequences of the failure of the private housing market and we have some influence on that market, in terms of planing policy but there are other factors there. 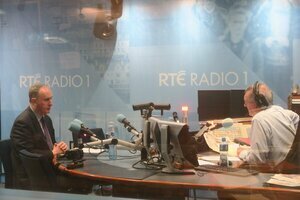 But we have been very proactive in terms of sourcing our social housing. I mean last year we would have sourced about 4,100 units – not many of those were new builds. But there was an awful lot of housing that had been, our own stock, that had been out of commission, that we recommissioned. Keegan: “There is no doubt that a number of people who are presenting, or families who are presenting as homeless, are leaving the family home. Now whether you can accuse those people of ‘gaming’, you know, that’s a very emotive language. A lot of those people are in very difficult situations in the family home. So I think it would be unfair to categorise everybody who leaves a family home. 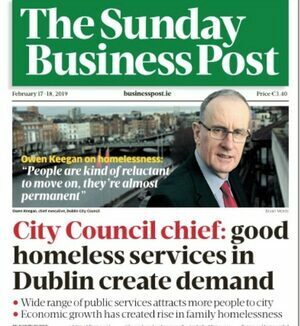 “There is probably, you know, a sense to which, given the political priority on housing families who are actually homeless, the priority being put on that, you know, people who are queuing in an ordinary fashion, in very difficult conditions in the family home, some of them may say ‘well look, I’m not getting anywhere’, you know, and may have made themselves homeless. Posted in Misc and tagged Housing, Owen Keegan, Sean O'Rourke at 11:38 am on January 11, 2018 by Bodger. 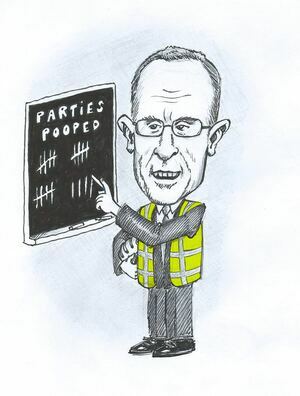 Fun-free Dublin City Manager Owen Keegan by Lolly Pop. Posted in Art/Craft and tagged caricature, Owen Keegan at 1:15 pm on July 26, 2014 by Broadsheet. 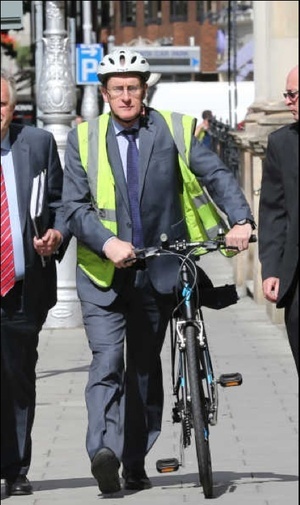 Dublin City chief executive Owen Keegan (above) arriving at Leinster House today. Posted in Misc and tagged Garth Brooks, Owen Keegan at 1:35 pm on July 15, 2014 by Broadsheet. 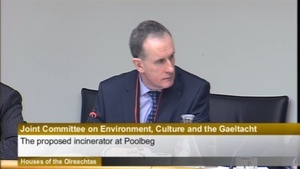 When questioned by Michael McCarthy whether or not the Poolbeg Incinerator Project will go ahead, Owen Keegan Dublin City Council manager replied “I don’t know”. Posted in Misc and tagged Owen Keegan at 5:08 pm on January 22, 2014 by Broadsheet.